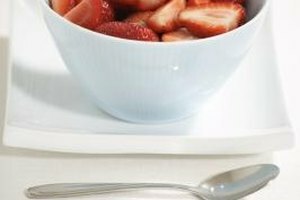 Serve fresh fruits and vegetables in season. Variety is one of the keys to helping your child choose healthy foods. Children may accept an unfamiliar food after they've tried it a couple of times, but too much of the same thing leads to boredom. Serve your children a variety of foods, and prepare familiar foods in a different ways to ensure that your children continue to look forward to healthy meals. 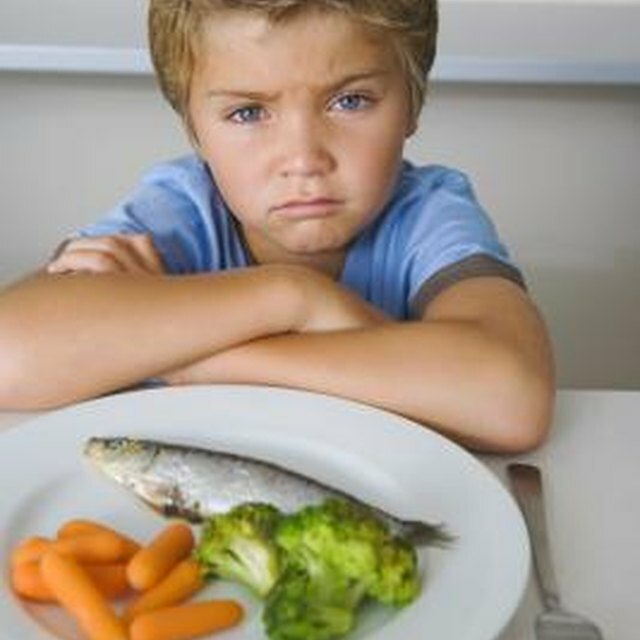 The U.S. Department of Agriculture recommends that you fill one-half of your child's plate with fruits and vegetables. Make sure fruits and vegetables are tasty and attractive to kids by buying what's in season. Not only will the foods be less expensive, but fruits and vegetables taste their best when they are grown outdoors during their normal growing season. Buy colorful strawberries, nectarines, peaches and pears during the height of their growing seasons for the best taste and appearance. If your child gets bored with milk, serve him low-fat yogurt or cheese. Yogurt is an attractive option for many children because it is sweet and colorful, and comes in a wide variety of flavors. Let him enjoy a different kind of yogurt each day, or buy plain yogurt and season it at home with flavorful mixes. Expose your child to the variety of types, shapes and textures available in cheese. Many children prefer white grains such as white rice and white bread. Introduce healthier whole grains and add other grain options to keep your child interested. For example, many children like the mild taste of pearled barley or quinoa. Make a cold salad with quinoa, chopped vegetables and creamy dressing and serve it in a lettuce cup. Present protein options in fun and attractive ways. For example, tofu may look strange to a child, so fancy it up with a tasty dressing or by threading it on skewers with vegetables alternated in between. Every child loves the easy-to-handle shapes of chicken nuggets, fish sticks or steak fingers. Make your own by coating the meat with bread crumbs and dried mix. Bake the meat or fish yourself, using minimal amounts of oil and healthy cuts of protein.